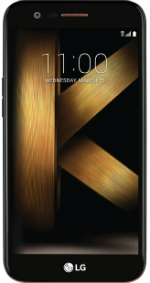 The LG K20 Plus is a 4G LTE smartphone that comes with a 5.3-inch HD IPS In-Cell Touch display panel with a 1280x720 resolution and 277ppi index. Powering the device from within is a Quad-Core 1.4 GHz Qualcomm Snapdragon MSM8917 processor with 2GB of RAM and the Adreno 308 GPU. Aside from its 32GB onboard storage configuration, the LG K20 Plus comes with a microSD card slot for up to 2000 GB memory expansion. Camera-wise, the phone is equipped with a 13MP camera on the back of the device along with a 1080p HD video recorder and another 5MP camera in front. Its removable 2,700 mAh battery helps it last up to 14 hours of talk time and 17 days in standby mode. Upon release, the phone runs on Android 7.0 Nougat OS and comes with a fingerprint sensor on the back. The LG K series smartphones have an issue with the microphone app. Whenever the audio jack is in use, the microphone app malfunctions and repeatedly interrupts the audio. This is an ongoing problem with the K series and i am very disappointed that LG neglected to correct this minor issue that defeats half the purpose of having an audio jack. I have barely owned the phone for three days and the first fall from my lap to the floor shattered the phones screen. If you are looking for a quality phone, the LG K20 is not what youre looking for.